Balkans have released a new video for the b-side, Cave, of their new 7″ release. Cave is full of delicious fuzz and drone. The 7″ drops this February 22nd through Double Phantom Records. 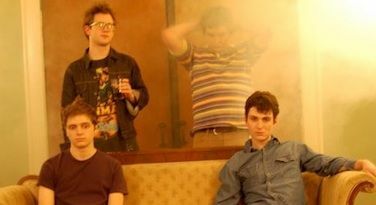 The band plans to drop their debut full-length in May of 2011. The new video was shot on Super-8 by Tony Summerlin at the fair in the band’s hometown of Atlanta, GA.
Head over to Austin Town Hall for a download of the new a-side, Edita V.